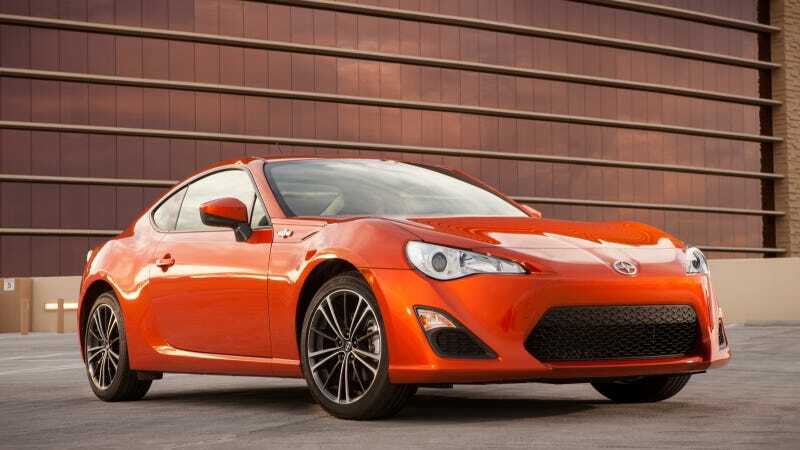 Could The Scion FR-S Get A Hybrid Version For More Performance? Go ahead and sit down if you aren't already, because I have some news that may upset you: it is possible that our beloved Toyota GT-86 (aka Scion FR-S, aka Subaru BRZ, aka The Toyobaru) could get a hybrid version in the near future. Gasp! Okay, more power for the Toyobaru. Enthusiasts have been clamoring for that since then beginning, although I have driven it and I don't feel like it needs it all that much. Tada adds this, and I think it's an important point. I'm glad Tada sees that. He probably knows better than anyone that one of the best things about the Toyobaru is its purity, its unabashed old-school-ness. Do they really want to mess with that in the pursuit of power? On the other hand, let's play devil's advocate. Nearly all of the hypercars we saw at Geneva this week have hybrid systems to boost power and efficiency, one way or another. Now we could also see that on an affordable sportscar most of us love already. Does this mean that hybrids have finally arrived for people like you and me? That they aren't just for Priuses and Insights anymore? Tell us what you think this means, and if the Toyobaru should go hybrid or not.